Transform your CSRs from simple ‘call takers’ to best-in-class customer service specialists. Consider the current state of customer service in this industry. The people you task with answering your customer calls tend to be the lowest paid, least trained and least respected members of your team — and you wonder why they’re not doing great. “Call taker” is in quotes because the phrase implies that a customer service representative’s job is easy, so the position doesn’t take much thought. Just answer the ringing phone and turn that into an appointment for the technicians. How hard can it be? Your customer service team watches everyone in the building meet throughout the week. If your customer service representatives (CSRs) never get together and train, it adds to their feelings of inadequacy. “Be friendly and answer any call as soon as possible,” is not a professional call-taking procedure. And, “Sit behind this person and watch for a few days; then we’ll have you answer some calls,” is poor training, at best. These people, who are hired to do such a critical job in your organizations, deserve better. Excellent, well-thought-out onboarding and training, regular meetings and ongoing education, are all essential to customer service greatness. Don’t mistake meetings with beatings. If you already meet with your customer service team regularly and simply go over everything they’re doing wrong, most of your message is lost. Your team heads to those gatherings with a sense of dread. Meetings should be positive and designed to produce polished professionals. These shouldn’t be the old, “I’m going to fix this right now” meetings of the past. There is a time for correction, but it should be done in a professional manner with minimal impact on morale. The old way of thinking produces a negative mindset in your customer service team. If you’re currently delivering that type of so-called training, then please make it stop. Training takes thought. Training takes planning. To properly train, you must first care about the results. When it comes to improving this segment of your business, one of the biggest mistakes is that too few companies have a comprehensive yearly training calendar. The same things keep happening to you year after year, yet you do little to improve your situation. This includes weather events, holidays, local challenges, etc. Great training plans take current time of year into account. You should get ready for the next season as soon as the extremes caused by weather slow down. Proper planning in all aspects of these jobs is important and training should be used to sharpen their tools. While you’re thinking about the department charged with taking care of your customers on the phone, you should decide what you want to be. If the answer is something along the lines of, “average and mediocre,” then by all means, ignore this entire article. If you’d like your telephonic presence to be best in class, however, then write that phrase down on a piece of paper or on a white board and try to define it. Start with how your company is currently perceived over the phone. Ask your customers, either through a survey or through direct contact. If people say things like “okay,” or “alright, I guess,” then you know you’re probably getting the job done, but no one is impressed. 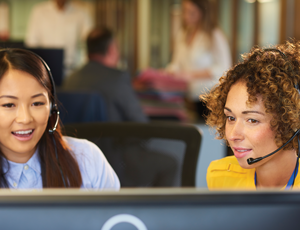 A best-in-class call center begins the customer relationship and sets your technicians up for success. Your customers deserve greatness. Look at your current team. Are these the greatest people available in your market, or do they have the potential to become great? Don’t stop at the individual personnel either. Do you have clear policies, procedures, and scripts? Take the reputation you want to have (your best-in-class definition), and apply it to the people currently in the position. Can these folks get you where you want to go? If the answer is a quick “no,” that’s okay, you simply have some work to do. You know what you want, but you need to figure out what that’s going to cost in both time and money. If nothing in your customer service department is written down, then work should begin immediately. If your people are subpar, then you should look at how you hire. Start by checking some of the job boards to find out what the position pays in your market. The number you will find should be an average. If you want to deliver an average experience, then that’s what you should pay. Greatness costs money. You’re willing to pay a productive technician more money, especially if you’re lucky enough to lure them away from a competitor. You need that same mentality when it comes to customer care. If that best-in-class number scares you, think back to the cost of the call. You spend tens, if not hundreds, of thousands of dollars to make the phone ring, and it’s answered by someone making a dollar more than minimum wage. Don’t get too proud of yourself if your number is well above that but still average or below for your market. Good people cost money, and you need good people in these positions. Don’t waste your time with face-to-face interviews. Your first exposure to a potential candidate should be over the phone. These are people you want to be the potential voice of your company, so they need to impress you on the telephone before you ever bring them in for a sit-down meeting. If they have a great application or resume, but don’t wow you on the phone, then keep looking. Above all, you need to hire attitude first — you can teach everything else, but a good attitude is difficult to train. You should also demand excellence from the interview. Set the stage for appearance, attendance and whatever else you currently struggle with before someone is ever hired. If this person really is best in class, and you’ve decided to hire great people, then your decision to show them that dirty workspace might just cost you that employee. You should have a complete training plan ready before your new CSR shows up for the first day of work. If you’ve made the decision to hire the best, then poorly planned onboarding and training could cost you that individual. The best plans are laid out by the hour and include company introduction, building tours, what they’re training on and with whom. The more work you put in on the front end, the more likely you are to have success later. You might also want to consider developing a career path for these professionals. Answering phones or dispatching technicians are not typical dream jobs. For most people, these are placeholder positions until they can get to the job they really want. Why not build a career path for your people and give them some pride in a job that most people cannot do with consistent success? Stop treating customer service as a waypoint on a path to a better job, and turn it into that better opportunity. 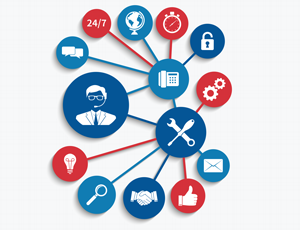 Have your customer service team become brand ambassadors for your company. 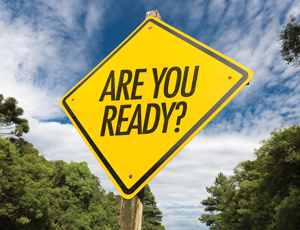 The only way to provide any help in your community is to have a solid disaster plan in place. If your marketing proclaims you to be the expert, the doctor, the professional, then your call center should reflect that brand. When done correctly, a combination of variables will lead to your ultimate success — and it starts with getting your entire team on board.